Don’t let one incident ruin your life! Protect your record from being blemished with a criminal charge with the help of an experienced driving offense lawyer. Every year thousands of drivers in Winnipeg face impaired driving charges and many end up getting fines and jail time for it. 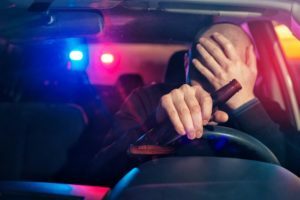 With the help of one of the most successful impaired driving lawyers, you can avoid getting sentences and even keep your driving license! Impaired driving is a term used to refer to driving under the influence of a drug or alcohol. Often people don’t realize they have had too many drinks and cross the legal blood alcohol limit. While it is dangerous to be driving under the influence, one mistake should not blemish your record or affect your life drastically. Empowered with over 15 years of experience working as a criminal defense lawyer, Gerri has earned a reputation for herself. Her dedication, attention to detail and knowledge of laws pertaining to DUI offenses make her a top choice for people facing impaired driving charges. Gerriwiebe is dedicated to protecting your rights as a driver. If you are charged with impaired driving or other speeding tickets, we will stand by your stand in letting you understand your rights and the options that you can choose. As a reliable driving offense lawyer we take each case seriously and do whatever it takes to protect your rights. Our expert lawyers are ready and prepared to help you. If you or someone you know is facing charges for driving under the influence, contact the offices at +1(204) 799-5956 of Gerri Wiebe to book a free consultation session.